The crime rate in Ukraine declines. Last year, the number of serious and most serious crimes decreased by 13 percent compared with 2017. 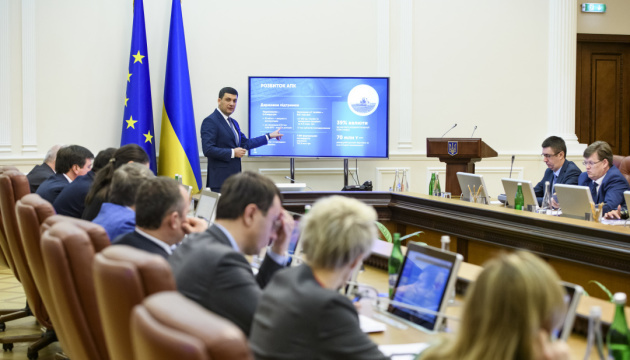 Prime Minister of Ukraine Volodymyr Groysman made a relevant statement, presenting the Government's report for 2018 at the Cabinet’s meeting, an Ukrinform correspondent reports. "According to official data, Ukraine has seen a decline in serious and most serious crimes. In addition, the cases of robbery, robbery with violence, theft and automobile theft decreased by 24-26 percent. The overall crime rate declines," Groysman said, noting these are optimistic indicators.